(born in 1949) – Czech novelist, author of short stories, poet and essayist. He debuted in 1989 with Morderstwo w hotelu Intercontinental. Since graduating in 1974, he has been working in various professions. 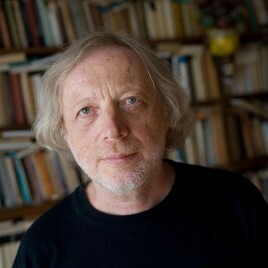 From 1996 to 1999, he was editor of the Literární noviny weekly. In 2012, he received Magnesia Litera – the most important Czech literary award. He wrote over a dozen books of poetry and stories, as well as novels. So far, two have been published in Polish: Inne miasto (2005) and Podróż na południe (2016) – both translated and supplemented with an afterword by Leszek Engelking.